NFC is a versatile technology that can provide low-cost, easy to use and mainstream solution for any industry. From product tracking, to property key tracking to event management and payment solutions are only some of the methods NFC supports industry. Here is a quick list of how NFC can help your business. It is easy to forget or lose a key or equipment. NFC provides a very simple solution for this; by tagging every key/tool with an NFC tag, you can scan each tag to check out and then check them back in. At every given time you would know who has your keys/tools and when they were due back.Have a look at the services we provide through MyTAG for property key management and asset tracking. If you work with contractors or you have a contracting testing business, you know proper reporting on service delivery is a challenge and an indicator of service standards. With attaching a tag to equipment, building or any asset that requires servicing, you can enable contractors to report incidents, provide visual proof of service at the spot. You can see how our proof of service solution through MyTAG provides a very easy tool for your business. Proof of presence is another struggle for contractors, security firms and also facility managers. A security guard or a contractor can proof their presence with scanning an NFC tag at the location. Once the tag is scanned, it can pick up the tag’s location via GPS and report it automatically. Have a look at our proof of presence and lone worker system for more information. 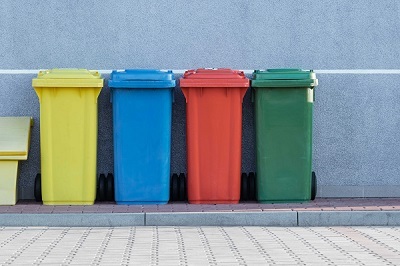 Bin pick-up and waste management is one of the industries that benefits from use of NFC and RFID technology in bin pick-up and transaction management. A tag on your bin can be read by the pick-up truck and identify whether the bin was paid for and if it is due for a pick-up. We can connect any rubbish collection system to our transaction management system, and therefore automate transactions, pick-up verification, account balance verification and more. Contact us for more information, free consultation and demo. NFC tags are unlimited in use, no matte what your business is there is a chance that NFC can help you make it easier and smarter. We thrive in working with our customers in assessment of their needs to customize a solution that fits. At Authenticate we are dedicated to providing quality products and services with latest NFC technologies. Smart wristband or smart bracelets are becoming more and more popular for event managers, public facility managers and facility managers. With a smart wristband you can check-in visitors, concert goers or even swimming pool users and check-out after use. Get in touch for more information. Below you can find technical details about the smart wristbands and smart bracelets. More efficient service delivery with smart NFC solutions such as NFC wristbands.